After having missed Dragon*Con two years in a row (Bad geek! Bad! No Firefly for you!) my wife and I will at last be heading down to Atlanta this year to revel in all that is most geeky, nerdy, and awesome. 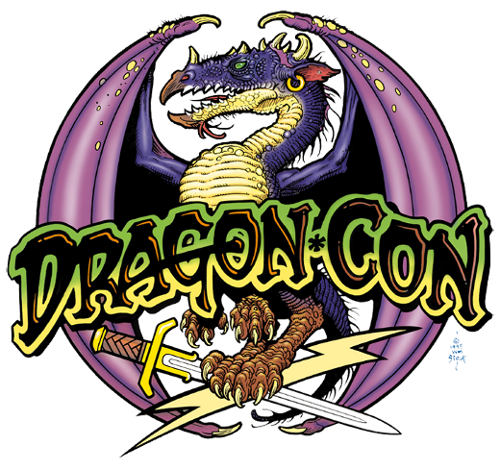 If you’ve never heard of Dragon*Con, you’re probably reading the wrong blog. But if you must ask, it is sci-fi/fantasy/gaming/comic book/costuming/art/science/literature/(etcetera) convention held every Labor Day weekend in Atlanta, GA, and one of the largest sci-fi/fantasy conventions held in North America. This year, they have such film and television luminaries as Bruce Boxleitner, Beau Bridges, Richard Hatch, Lance Henriksen, Martin Landau, Christopher Lloyd, Kate Mulgrew, William Shatner, and Brent Spiner, and great authors including Kevin J. Anderson, Laurell K. Hamilton, The Hickmans, The McCaffreies, Michael Stackpole, and Timothy Zahn, and many many more. If you’re already planning to go, then great! If not, well, I doubt you’ll find a hotel room at this point anyway. I’ll be sure to take plenty of pictures.